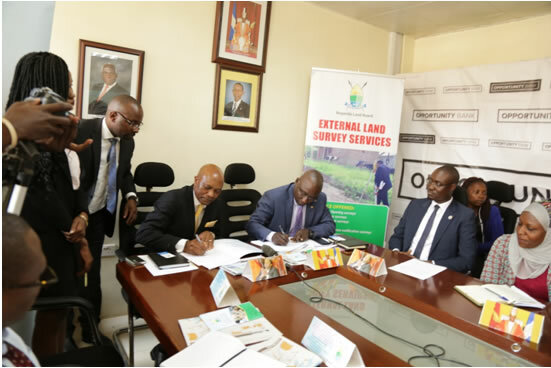 Buganda Land Board signed a Memorandum of Understanding with Opportunity Bank to provide land related services, including land surveying and valuation services to Opportunity Bank clients. These services are also extended to people who do not live on Buganda Kingdom land. 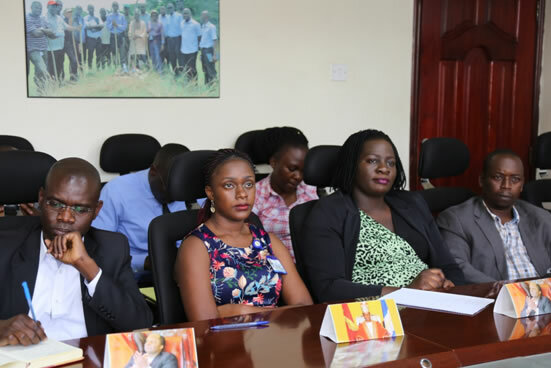 Opportunity Bank is to provide credit to its clients who cannot afford to pay for the services offered by Buganda Land Board. 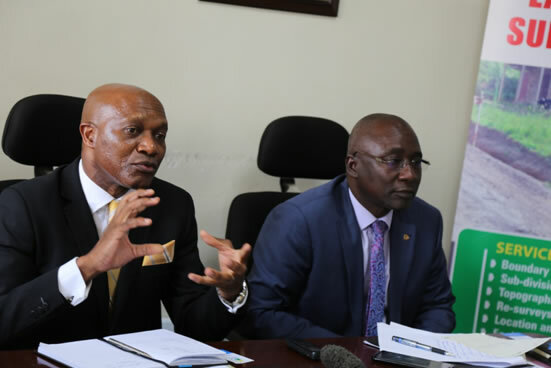 This is in addition to an already existing relationship between Buganda Land Board and Opportunity Bank where people who live on Buganda Kingdom land and are Opportunity bank clients are able to access credit from Opportunity Bank to title and develop their bibanja. Speaking at the ceremony Buganda Land Board Managing Director, Omuk. 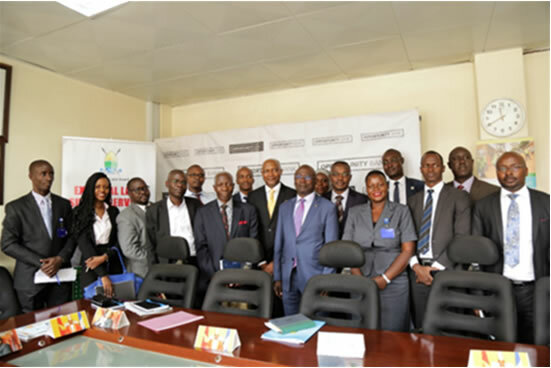 Kyewalabye-Male said that Opportunity Bank has been at the forefront of partnering with Buganda Land Board in its programs like LAFI (Lease Access Financing Initiative) and through this partnership, it is helping in building Buganda. The MD further talked about Buganda Land Board’s upcoming real estate project in Ssentema where low cost houses are to be built for the people of Buganda, urging Opportunity Bank to seize the opportunity and join the project. Buganda Land Board MD Omuk.Kyewalabye-Male (seated on right) speaking at the ceremony . 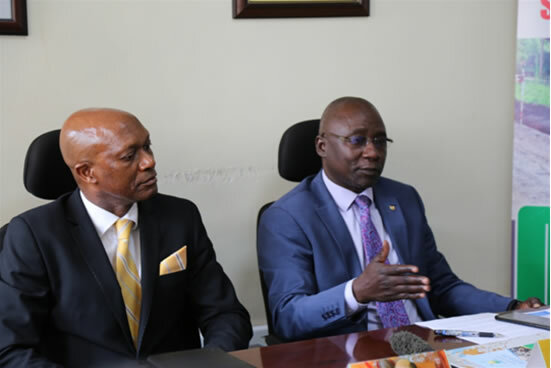 On behalf of Opportunity Bank, the CEO Mr. Teneyi Mawocha praised the professionalism of Buganda Land Board and the quality of services it offers. 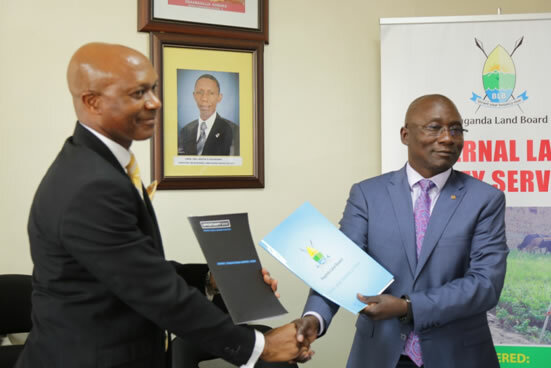 He continued to say that Opportunity Bank will continue to partner with Buganda Land Board to help its clients realize their development dreams. Opportunity Bank CEO Mr.Teneyi Marocha (seated on left) speaking at the ceremony. A cross section of BLB and Opportunity Bank employees who attended the function. About Buganda Land Board external services. 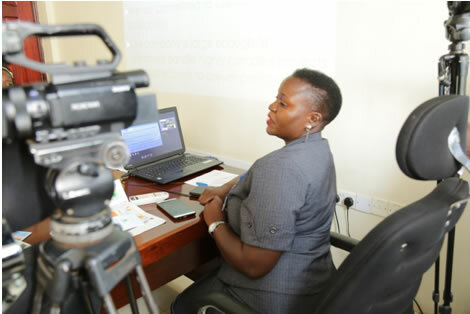 Buganda Land Board operates an external services unit, which offers survey and other conveyance services such as adjudicating family disputes, carrying out research on projects, mutations, subdivisions, pursuing letters of administration.